This vintage decal from our retro wall stickers collection illustrates a music player from the 50's which will give a classic and stylish look to your home. 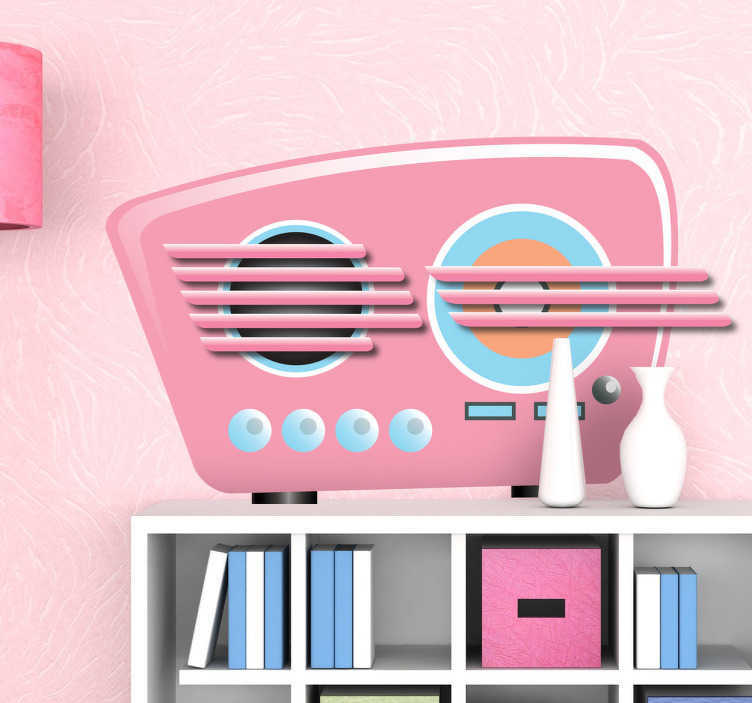 The radio sticker´s pink colour provides a colourful, pop and extroverted design that will make the walls of your home unique, original and creative. All of our vintage wall stickers create a room that is different from the rest! Remember to choose the size that best suits your wall. Our stickers are easy to apply and leave no residue on removal.